Even after soldering all the parts, there is some 'fly wiring' that is required to get the shield to do what you want. The reason it was designed that way is so that people with unique requirements could easily customize how they want the shield. However, we will cover the most common cases. 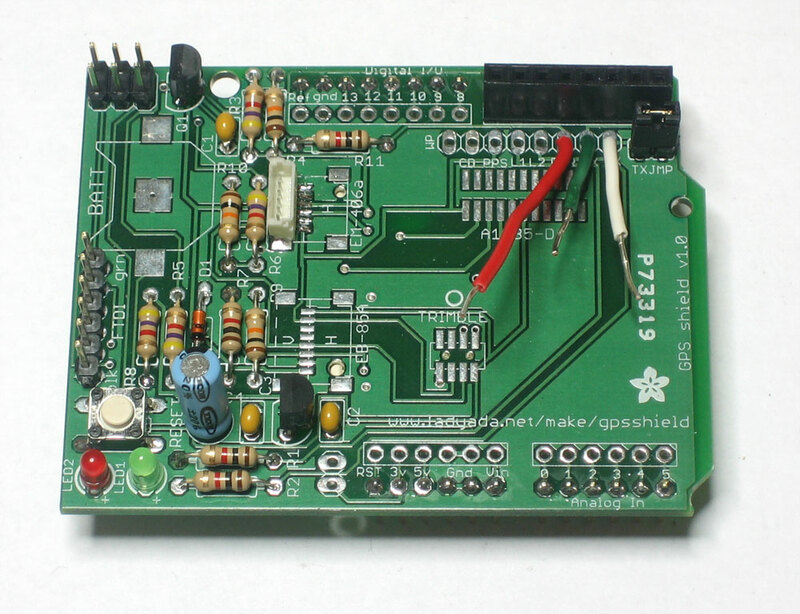 PWR - this pin is connected to a transistor that controls power to the GPS. 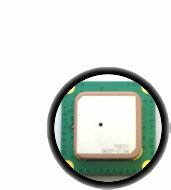 When this pin is set to LOW the GPS module turns on and when the pin is set to HIGH the GPS turns off. L1 and L2 - these are the two red/green LEDs on the shield which can be used for indicating whether data is being logged, if there is a GPS location lock, etc. PPS - this is the GPS syncronized pulse clock, it pulses exactly once a second. The only really important pins are PWR, TX and RX. Some modules work even when RX is not connected to anything (floating) but many act kind of strange so I suggest always connecting it up. Cut three pieces of wire, two about 1" long and one 2" long. Solder the two shorter ones to RX and TX. Solder the longer one to PWR.